Rather than use a stark black, this palette relies on a deep blue to emphasize the tone of vivid purples and yellows. The blue compliments the yellows in such a way that they can really shine. Something about those two shades of yellow working together makes me so happy. It’s the combination that makes them great, they work together to create a sun-like glow that jumps off the screen. 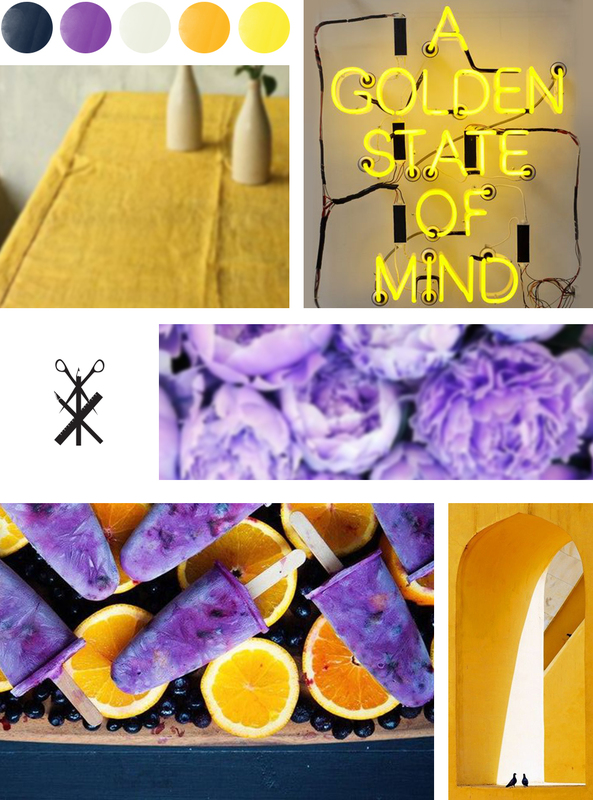 Anytime you combine colors that are complimentary on the color wheel, like purple and yellow, you know they are going to make magic. It can be hard to find a fresh way to do it, though I think the addition of a second shade of yellow and a deep blue successfully set this palette apart. I’m planning on keeping this palette in my back pocket for when the weather starts to get grey again. This palette will be a great one to use when the vibes down because we have been snowed in for two days. A happy color palette that sets an upbeat mood.